Welcome to Gary Montalbano.com. Here you will find Gary’s personal art, professional design work and various illustration projects. This site’s galleries include sketches, drawings, fine art paintings, illustrations, digital art and design work. An online store that has fine art prints, T-shirts and books available for purchase will be coming soon. If you have any questions in the mean time about purchases or about anything, feel free to send a message. New artwork will be added to this site periodically. Please check back here regularly for those new additions and news. Thank you for stopping by. 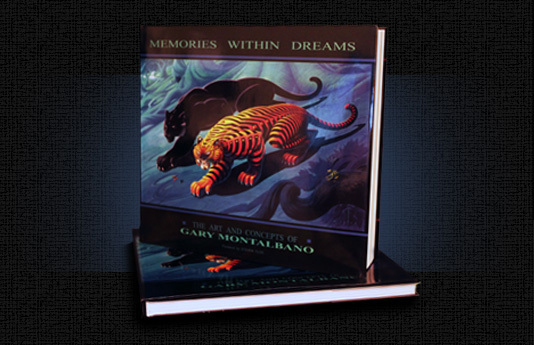 Memories Within Dreams: The Art and Concepts of Gary Montalbano. 160 pages, full color, over 450 pieces of art, available in softcover or hardcover with a forward by Steven Olds. 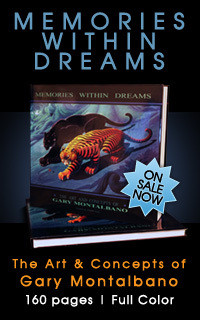 Gary Montalbano’s first book, “Memories within Dreams: The Art and Concepts of Gary Montalbano,” shows why for two decades his professional design work and his published personal art has been influential in projects for major entertainment companies such as Marvel Entertainment, Universal Studios, Warner Bros., ILM (Industrial, Light and Magic, Lucas Film Ltd), Film Roman/Starz, Sony, Nickelodeon Rhythm & Hues, DreamWorks and more than 100 other projects and clients. In this full-color, 160 page book Gary is able to present a portion of his professional work along with an exclusive look at his unique personal art and projects. 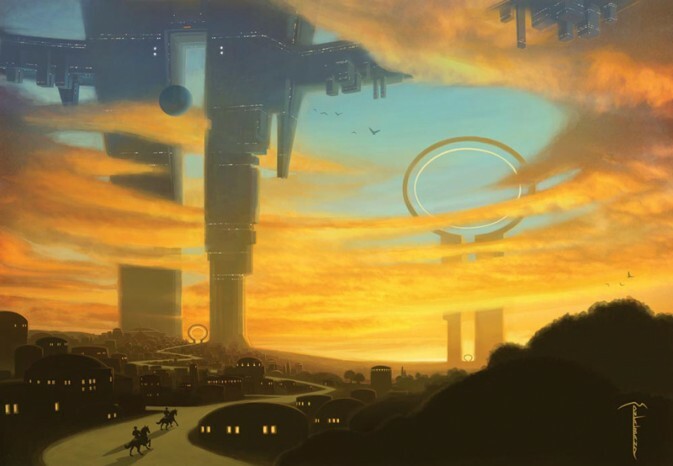 He also shares his history and informative creative process in this premier volume of well over 450 pieces of his innovative and inspiring artwork. Take a look at some excerpts from the book in the Sample Pages gallery.